Blackburn Sustainable Renovation with a 7 star energy rating. 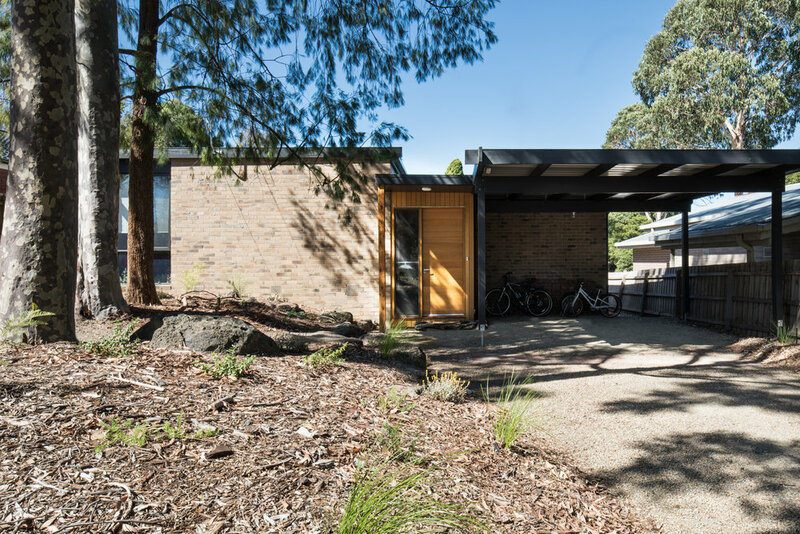 This is a full scale renovation of a Mid-Century home bringing it back to its former glory and enhanced by a full thermal shell upgrade and refurbishment. The home has an existing northerly aspect to the main living spaces, now with double glazing throughout, highly insulated ceiling, walls and floor and draught sealing. The home remains a consistent temperature with the use passive heating and cooling techniques. Additional heating and cooling is available via the new reversible Hydronic system. There is energy efficient LED lighting throughout with a induction cooktop in the kitchen. The home has been wired for future Solar PV and the home now requires a 50% smaller system since the renovations. 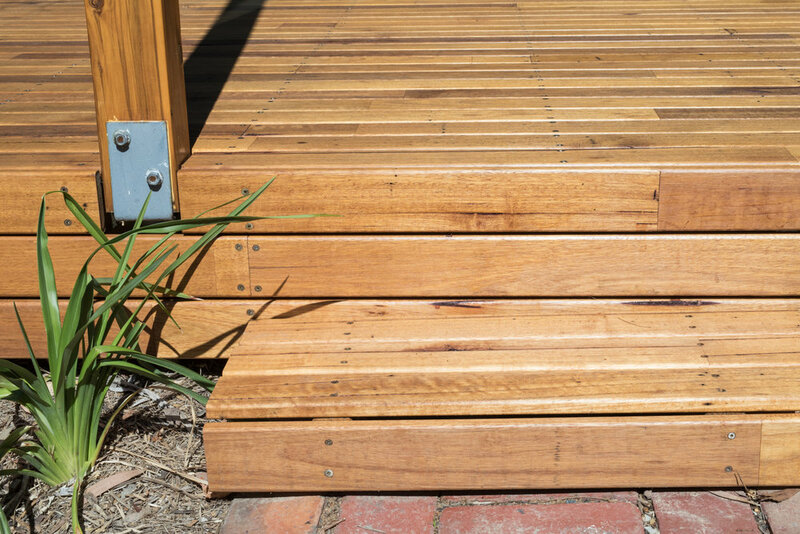 All timber work and joinery is from sustainable resources, reused of recycled with Natural oil finishes. The feature kitchen is the hub of the home and is custom made from natural durable materials with non-toxic finishes. VOC's are minimised throughout the home with selected products including oils, paints and construction materials. The landscaping includes permaculture water harvesting principles that provided passive irrigation to the native plants and vegetables. Rated at 0.9 stars prior to the renovation our client now enjoys a home with an impressive 7 star energy rating with both comfortable and beautiful indoor and outdoor living spaces. Timber Extension with Victorian Ash Shiplap Feature Cladding. Entry Hall with Australian Hardwood feature front door, cork flooring and sashless double glazed side light window for ventilation. 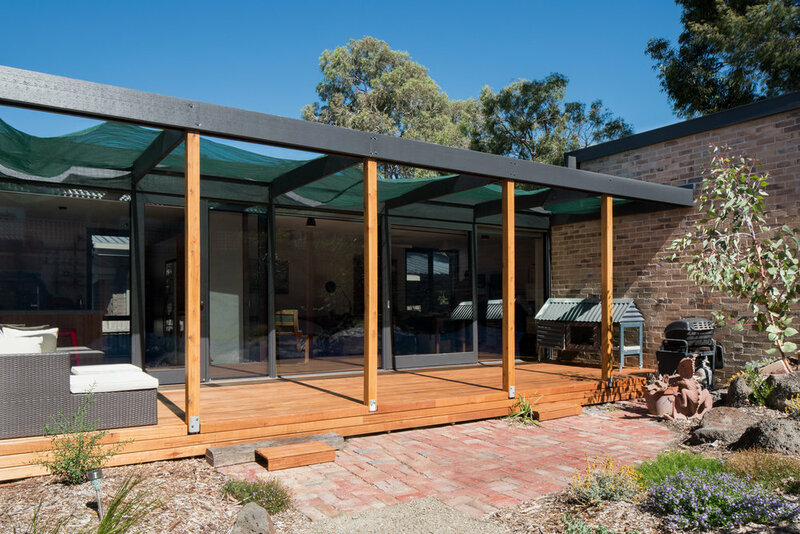 Indoor outdoor living space with Hardwood, timer floors and decking and double glazed windows and doors. 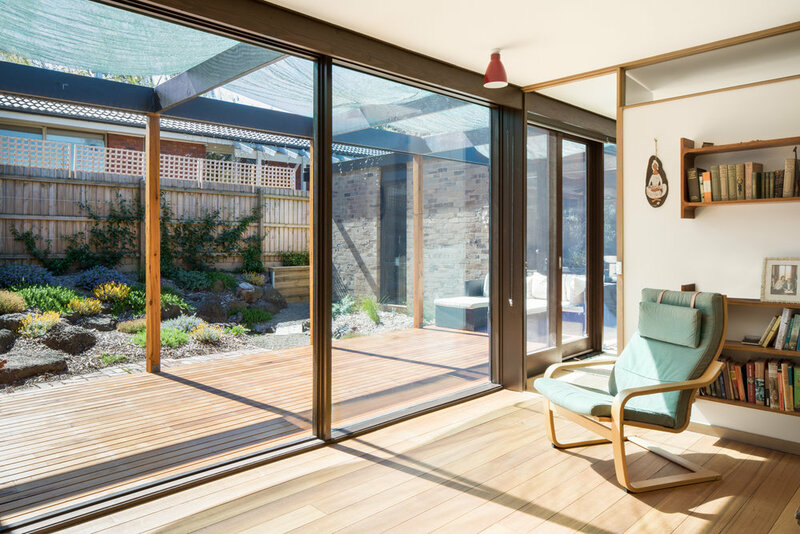 Lounge room with double glazed windows, feature hardwood floors and trims and Northerly aspect taking advantage of the warming winter sun. 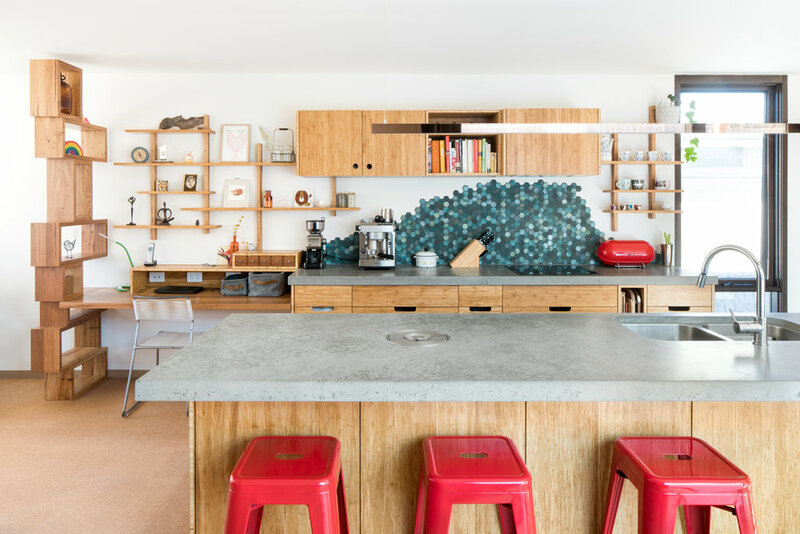 Joinery By Select Custom Joinery: Custom Kitchen with Sustainable materials and finishes including; Reclaimed Hardwood Shelving, plywood and bamboo cabinets with Natural Oil finishes. Joinery By Select Custom Joinery: Custom reclaimed Hardwood Kitchen Shelves- Sustainable Finishes. 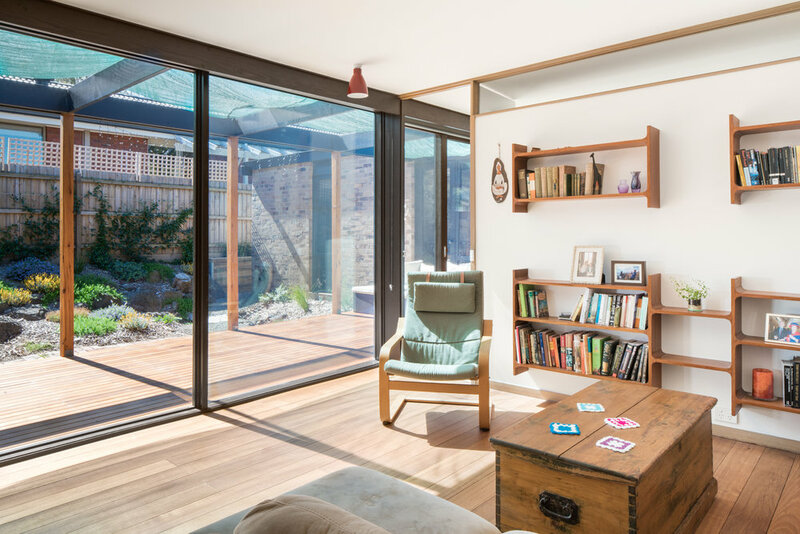 Rear Living Room with recycled hardwood shelving, and Australian Hardwood double glazed windows and doors. Dining Room Nook off Kitchen & Living Space with cork flooring, reused hardwood trim and retrofitted double glazed windows. Bathroom with flush entry sunken shower, Plywood vanity with Victorian Ash Top and frame-less shower screen. Timber Decking and Pergola, Silvertop Ash and Cypress Pine. Landscaping By Ben Harris Gardens. 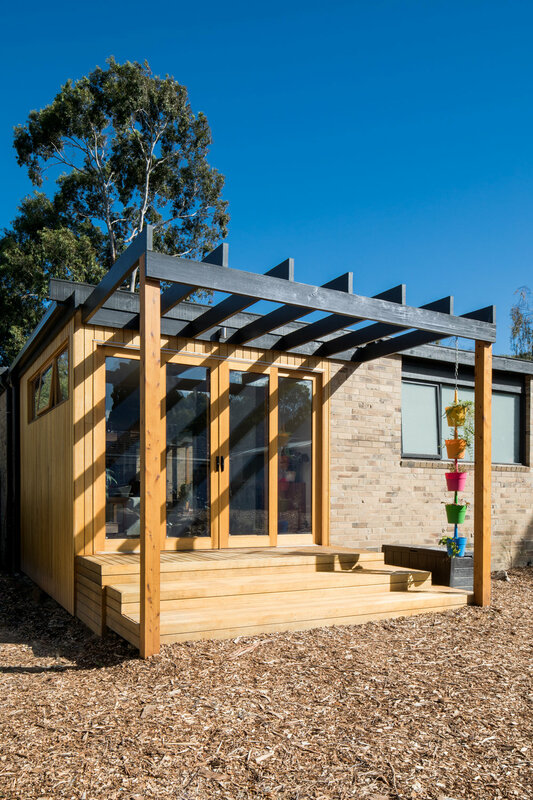 Rear extension with Vic Ash feature shiplap cladding, Vic Ash decking, Cypress feature posts, Australian Hardwood double glazed windows and doors.